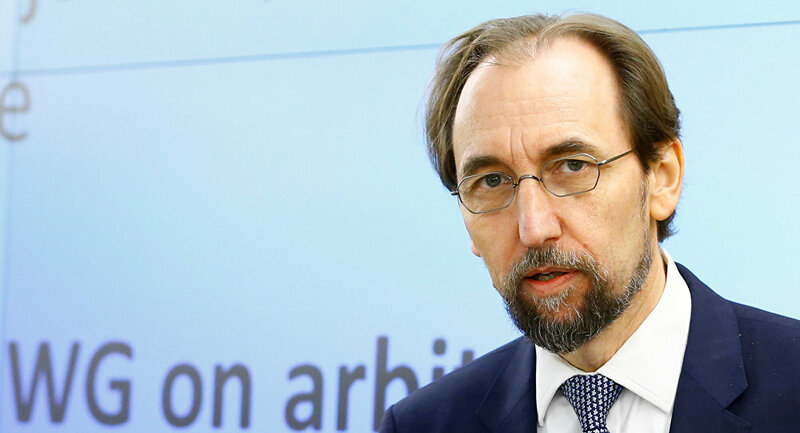 WASHINGTON (Sputnik) - The United Nations has extensive contacts in Syria, however, it asks to be given access to the country, the UN High Commissioner for Human Rights Zeid Ra’ad Al Hussein told Sputnik. "We have extensive contacts within the country that we speak to directly," he said. "Of course, like in many countries, where we don’t have access we demand access." Al Hussein said if the Syrian government "wants us to believe its narrative, they should have no problem allowing us in." He added, "By not allowing us in, then I don’t believe what it is that they are saying." On April 7, Syrian opposition portals cited militants claiming the Syrian government used chemical weapons in the city of Douma and up to 70 people were killed in the attack. The United States and some of its allies accused the Syrian government for the alleged attack and in response undertook on April 14 strikes against targets in Syria. The Syrian government denied using chemical weapons and said the incident had been staged by the Jaish al-Islam terrorist group in order to justify a foreign intervention in Syria. 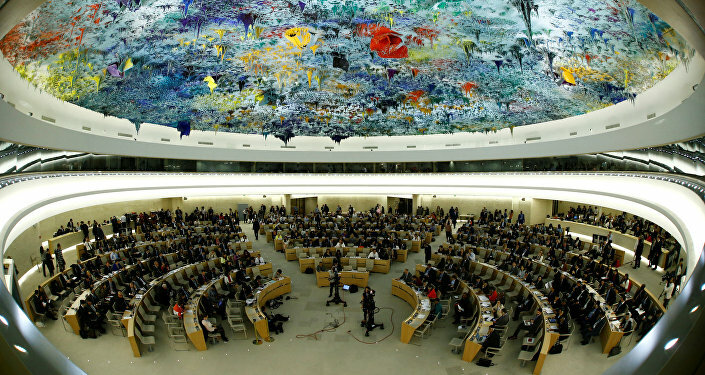 Al Hussein expressed an opinion that it is necessary for an external body to make a determination into the incident, noting that the Organization for Prohibition of Chemical Weapons (OPCW) has made an offer. "We believe that if the evidence suggests capability the OPCW should be capable and [impartial] to make that decision," he said. Russia’s Center for Syrian Reconciliation dispatched representatives in Douma right after opposition reports emerged and found no traces of hazardous substances. Moreover, the Center interviewed doctors in Douma who said no individuals reported injuries from chemical weapons.